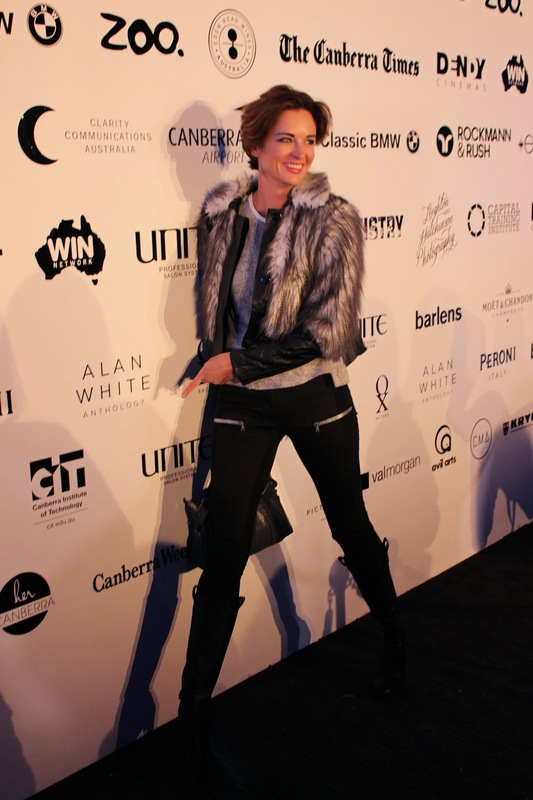 I had such a fantastic night at Canberra's very own fashion festival, Fashfest. It's a great opportunity for fashion designers to show case their latest collections. Over four night's Fashfest, has hundred's of people coming in and out of the Canberra airport doors. Everyone in the industry was there, models, designers, stylists, artists, photographers, viewer's, journalist, you name it and they were there. 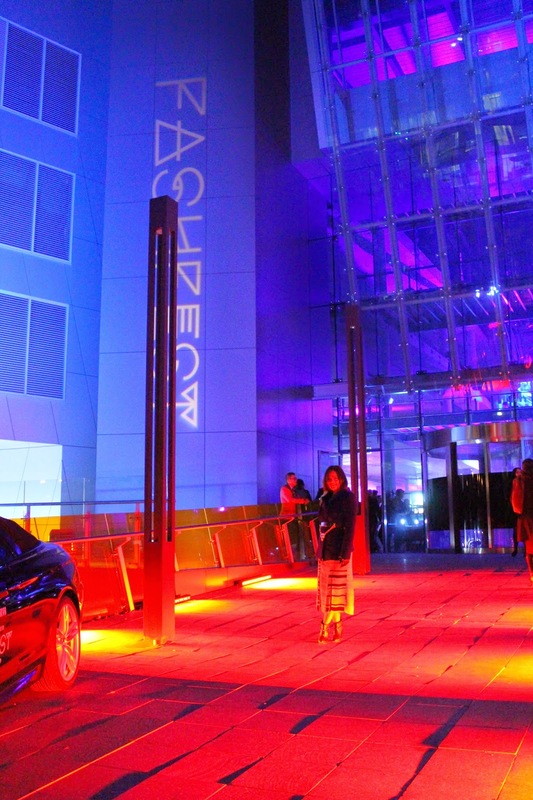 From the moment I walked in the entrance and saw the flashing lights, I was in fashion heaven. First stop was at the media wall, I pulled out all my posing moves and try to work it! Then straight to the fancy Moet and Chandon VIP bar to do a quick Instagram post of my outfit. So many beautiful people around me - the place was buzzing. A gentle announcement aware us that the show is about to commence so I slowly float to my seat. In the corner of my eye I saw a group on Canberra's finest. Jiawa Liu (blogger), me, Zoe Brown (Designer) and Heather Lansdowne (blogger) I had to have a piccie with them! Ooh and there, the face of Fashfest, Belinda Riding. I spot a few carefully styled people and admire their pieces, up close with my camera. It was the 2nd year for Fasfest and the event blew me away. I recommend the event to all you readers around Australia to come next year! Mingle with us, listen to musicians and watch Canberra's finest designers put on a show. Great post girl! Was such a fun night!